Here come the girls! The Party Animals girls! There is only one thing that little girls find more fun than cute animals and that’s cute animals wearing glasses! This vibrant and colourful girls farm animal print will make a fab unique gift, perfect to display in a girl’s bedroom, playroom or nursery. 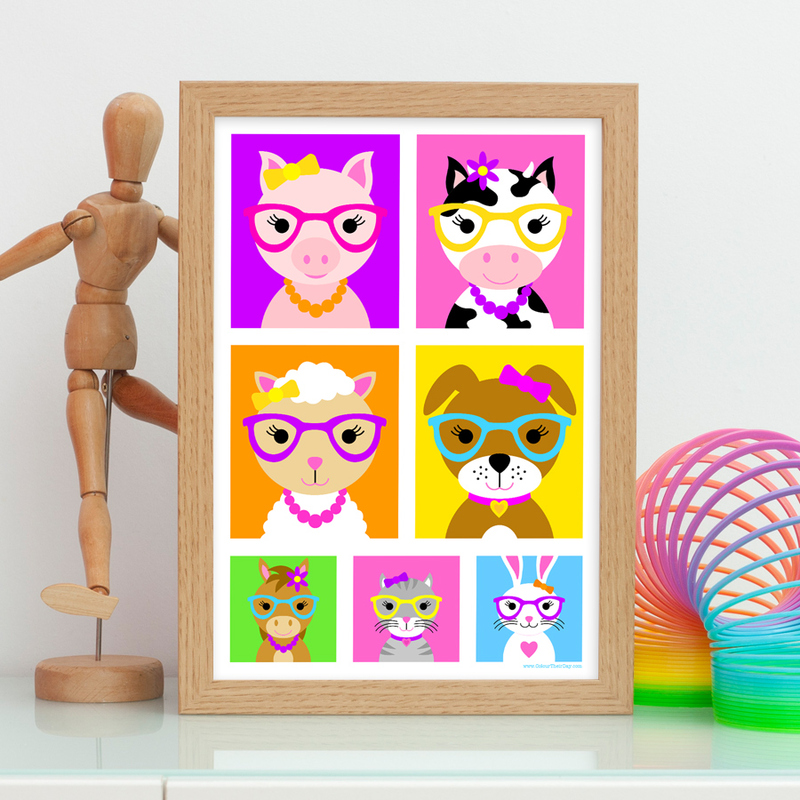 The illustration shows seven cute and cheerful farm animals; a pig, a cow, a sheep, a dog, a horse, a cat and a rabbit, all wearing big pairs of glasses. The print is available in A4 unframed, A4 framed and A3 unframed. It is from the ‘Party Animals’ range of kid’s stationery, where you will find many more products featuring these cheerful little characters. Be the first to review “Party Animals – Girls Farm Animal Print” Click here to cancel reply.